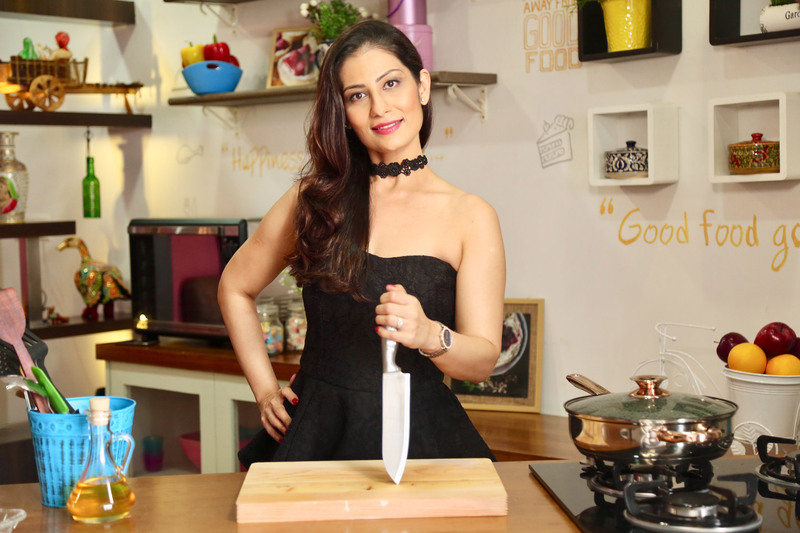 Meghna’s Food Magic has million+ followers across all major social platforms & 4 Million+ views on YouTube, this shows that you have an incredibly strong following. What factors, according to you, facilitate your success? Listening to viewers & engaging with them. Everyday I get so many requests to post recipes. It may not be practically possible to shoot every recipe video, so I do a mix of recipe videos and recipe blogs; so that the hunger keeps getting satisfied. Consistency. Many You Tubers give up after shooting 30-40 videos because it takes a while before it starts catching up. If you are consistent in sharing quality content, eventually the regular viewership start building up. Seeing it simple. Most recipe videos I see on TV channels and other YouTube channels, they tend to over complicate things. I am constantly battling with the idea of the ingredients & kitchen appliances availability as well as affordability of middle class segment. No point in showing some fancy dish that requires expensive tools & ingredients that may not be available in Tier 2 & 3 cities. See you can’t share healthy recipes if you yourself are not in good health. I have worked on many of my aspects from looks, fitness, lifestyle etc. My team have been blessed by a group of enthusiastic creative people around me, who facilitate my shoots and post production work. My digital partners who have found potential in investing in the brand Meghna. Many aspiring bakers hold a personal admiration for you. Share what’s a day like in your life? Early to bed Early to rise, Work like Hell & Advertise. My work requires me to interact with my followers on social media and responding to queries fastest. There are planned shoots for recipe video making, there are planning days with the kitchen staff for recipes… there are days when I park myself in kitchen baking & experimenting new recipe ideas. Some days are busy meeting clients – I call it fieldwork – discussing the menu, experimenting dishes & analyzing their customer feedback to make changes in dishes or menu. Then there are marketing campaigns that I get involved with to help brands reach their target audience on social media. A lot of meetings happen before we actually get down to shooting recipes… discussing recipes, concepts, food styling & photography around it. But whatever I do, my food is prepared by me only & my morning gym is non negotiable- it has to happen. So 5.30 am to 10.30 pm, it’s all action, no dull moments. My digital production team frequently interacts with me on episode edits; nothing gets released till I personally sign off. Wellness is an integral part of your blog & life. Tell us about the food/meal pattern that you follow in general to remain healthy and physically fit? Just eat right was my Mantra. For the last 3 years, my breakfasts consists of 2 toasts (with few drops of olive oil & salt, pepper, chilli powder) & tea; post work-out smoothie, the recipe video you’ll find on my YouTube Channel; mix of vegetables stew cooked with few drops of oil; 4 pm coffee with multi-grain bread & leafy salad & nuts with my own recipe of dressings for dinner. My daughter also enjoys this salad. From Pizza to cake, I eat whatever I crave for; but in small portions once in a week. I developed lighter dessert recipes so that helped. So no roti or rice, I just eat according to my goals. And I don’t eat after 7.30 pm. My 8 hour sleep is non-negotiable.